SWAT Hat | BUDK.com - Knives & Swords At The Lowest Prices! This classic black hat gets the point across in a hurry. SWAT, I&apos;m on the SWAT team, get out of my way. It offers an adjustable Velcro closure in the back of this comfortable brushed cotton twill. 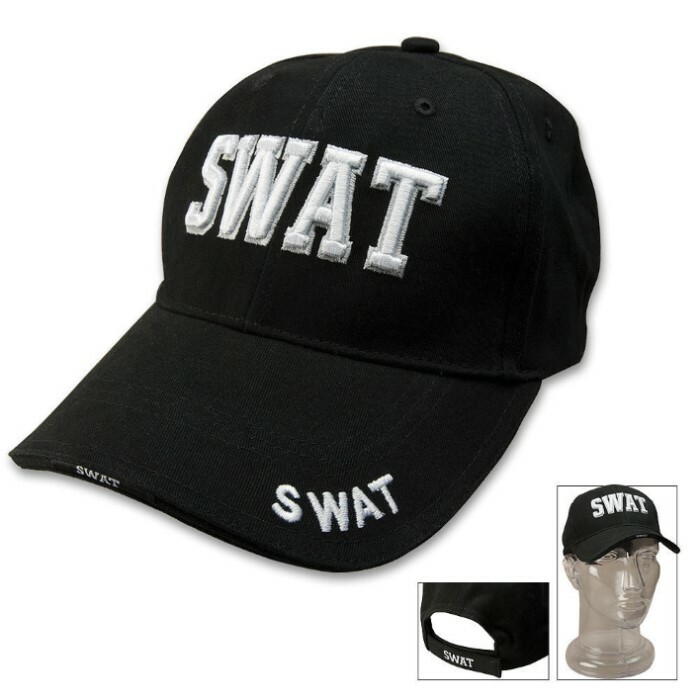 SWAT is embroidered in classic lettering on three times on the front of the hat and again on the adjustable strap in the back. Everyone will know you&apos;re on the SWAT team in this hat!